Any plans for the weekend? If your bathroom is in desperate need of some much needed TLC, why not give it a revamp? If you're looking to redesign your bathroom, it shouldn't cost a fortune. In fact, we can even give you a guide to how much bathroom installation costs. There are plenty of things that you can do to enhance the look of your room. The tips below should help to give you some inspiration. Simply follow steps one to ten to plan your bathroom transformation. The first step to any redesigning project is to plan exactly what you do and don’t want. Take a look around your existing bathroom. Is there anything you want to keep? What is currently wrong with the room and how can it be enhanced? Write down your ideas. That way you’ll know exactly what you need to do in order to get the bathroom of your dreams. Sometimes what you want in your bathroom isn’t necessarily what you can have. You need to seriously consider the size of the room before you make any big plans. If you’re buying new furniture this is particularly important. Measure all available spaces so that you invest in the right sizes. Does your bathroom have an excessive number of toiletries gathered around the bath? Are there too many accessories cluttering up the room? A few accessories are fine but too many and you’ll soon find any style or design work gets drowned out. 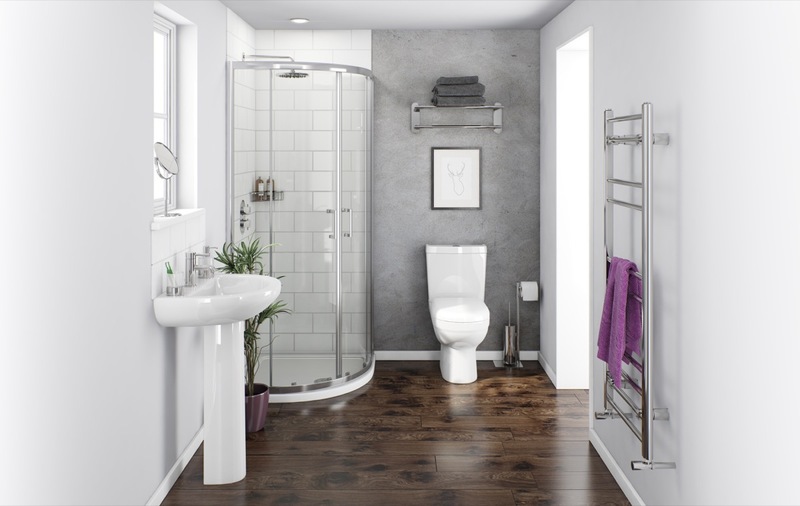 When choosing accessories for the bathroom, it’s easy to get carried away and choose different styles. The problem is, while they may look great on their own, when combined with other accessories in the room they could clash badly. Try to stick to a single theme with everything you buy. One of the simplest ways to change the look of your decor is to give it a new coat of bathroom paint. Changing the colour will drastically alter the style of the room. It’s one of the cheapest redesigning tips you can use. A fresh lick of paint can work wonders. If your bathroom is quite small, there are plenty of space saving accessories to invest in. Wall hung cabinets, hanging shelves and vanity units are all great options. Lighting is one of the best ways to make a bathroom appear bigger. Reflective flooring will also help, as will large, illuminated mirrors. If you are updating the larger items in the bathroom, make sure they’re fitted by an expert. This will enhance the look and ensure everything works as it should. Find out how much you should pay to have a bathroom fitted. Heated towel rails solve three problems. They help to save space, keep your towels nice and warm and provide heat to keep the room from getting too damp. No matter which season it is, it pays to think about your bathroom heating. 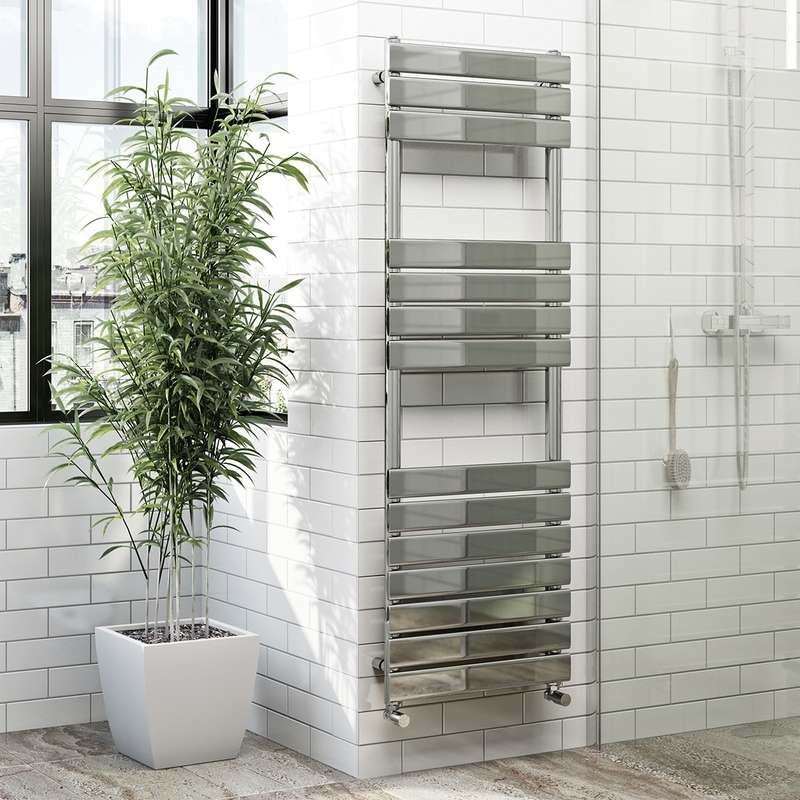 A heated towel rail is both efficient and stylish. 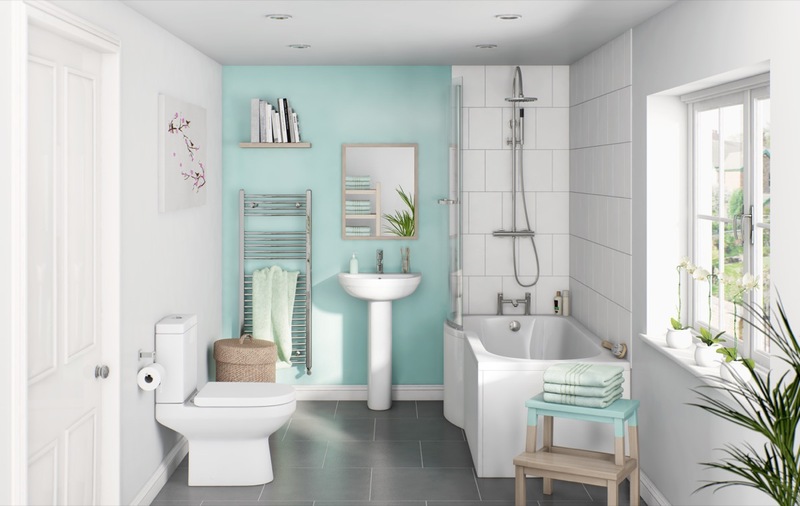 If you’re struggling for inspiration on theme ideas, take a look through our bathroom advice and bathroom ideas sections. You’ll also find loads of ideas with our customer bathroom images, style guides, mood boards and much more.